Location-based VR is becoming a thing. That was proven when I got the opportunity to try The Void’s Star Wars experience. Now, another player has hit the market looking to broaden the appeal of a premium, ticketed, virtual experience. Enter Dreamscape Immersive. It’s a startup company that has already generated buzz, millions of dollars in funding, and a lucrative partnership with AMC Theatres before even launching its first experience. But now the world can finally experience why all this success is happening for them with Alien Zoo. 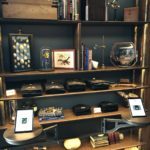 Located in a tiny pop-up next to a Tesla dealership in a premium shopping center in Century City, CA (outside of Los Angeles), Alien Zoo is the first public offering from Dreamscape that shows off the ability of their technology. Similar to The Void, however, technology is shrouded from the moment you step foot into the Alien Zoo lobby. You’re met with what you can probably describe as a modern-day explorer’s office, filled with encased insect eggs, colored pictures of creatures that you’ve never seen before, research books…and Dreamscape-branded merchandise. 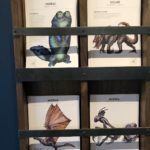 Clearly (besides the branded merchandise), you are already being invited into a story, one filled with discovery and alien creatures even as you wait to proceed to the next step in your adventure. The Alien Zoo story begins the same as an Indiana Jones Adventure story because it’s being helmed by a former executive of Walt Disney Imagineering – Bruce Vaughn. For Vaughn, his idea of creating an immersive experience is grounded in story and much of what Dreamscape Immersive’s experiences will focus on is the narrative. That feeling of being in a movie quickly becomes part of your experience the moment you gear up with a lightweight vest and a virtual reality headset. You’re asked to walk toward a lighted platform before that platform feels like its taking off from Earth to this bubble-like environment floating in deep space. The bubble is Alien Zoo! Your platform enters this environment and your British-sounding audio guide welcomes you as a scenic vista opens up to a lush world that looks familiar with alien plant-life and these guys dinosaur-looking creatures. If this is starting to sound like the open to the movie and “theme park” that is Jurassic Park to you, then that’s exactly what Vaughn wanted you to think as you entered this world. Dreamscape Immersive’s approach to making people ‘feel’ takes much of what Vaughn learned at Disney where Walt Disney turned amusement park rides into theme park experiences by wrapping them in great stories. Vaughn’s most recent Disney work before he left for Dreamscape Immersive included the Na’vi River Journey attraction that’s a part of Pandora – The World of Avatar in Disney’s Animal Kingdom at Walt Disney World resort in Florida. Like other Disney “dark rides” including classics like Peter Pan Adventure, guests are taken from one scene to another with some story progressing with each passing scene. In Vaughn’s view, alternative to building a multi-billion dollar land, you don’t need to create multi-million dollar rides and lands to make people feel like their stepping into a movie’s story. Vaughn went on to tell us that the entire experience is a combination of robotics, physical sets, special effects, and specifically invented software technology; all of which are mixed together harmoniously to create everything you see and feel while on your tour. These elements can also be changed out for new experiences with new programming in a matter of days. While the technology and logic behind location-based VR experiences is complicated, the experience itself should not be. That’s why Vaughn and his team took great lengths to make sure that each moment of your visit to Alien Zoo didn’t feel, well, alien. “Your story begins where you blast off from the Westfield mall. You play the role of a guest, not an alien. You’re asked to shine a flashlight in a dark place. It’s all meant to be easy!,” he shared. And the easiness of the experience is purposeful. Not only does Dreamscape Immersive want to help people enjoy their product, but expand on the story that location-based VR is a good alternative to going to a theme park. Lots of people seem to believe in at least the prospect of being entertained in a hyper-real way. Tickets for Alien Zoo have sold out for its limited-time run. An extension was already made due to popular demand through March 16, but all tickets have sold out till then as well. While Alien Zoo might not be available to experience at the moment, Vaughn noted that they hope to take all their experiences “on tour” so that others may try their new form of entertainment. 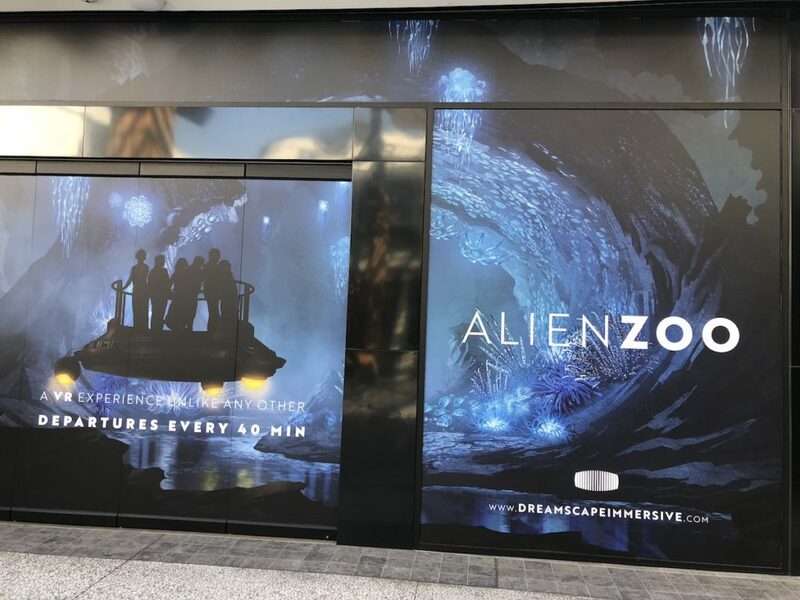 It’s still to early to gauge the success of Alien Zoo and the overall impact that location-based hyper-reality experiences will do for the industry, Vaughn hopes that their success would translate into a world-changing movement for those wanting to be entertained. Our special thanks to Bruce Vaughn and Dreamscape Immersive for allowing us to try Alien Zoo and be interviewed for this story!